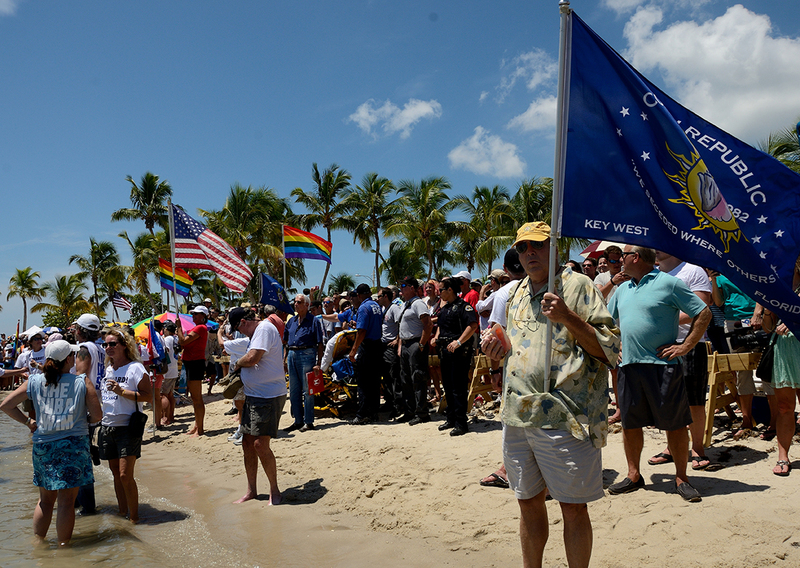 Conch Republic Independence Celebration: The Most Unofficial Fun in Key West! For those who don’t know, the Conch Republic was established in 1982 after the U.S. Border Patrol set up a roadblock on one of the two roads that connects Key West to the mainland, which resulted in heinous traffic jams. Key West residents protested after seeing this act as a threat to their livelihood and the tourism industry. However, they didn’t use banners, signs and marches – they seceded. Locals never miss an opportunity to exhibit their “sovereign state of mind” – as you’ll see in their annual celebrations. This year’s Conch Republic Independence Celebration kicks off April 19 with a party at the Schooner Wharf Bar, the official “unofficial” bar of the Conch Republic. Other events include a conch shell blowing contest, the “Great Bloody Sea Battle” (fought with water guns and stale bread), and the World’s Longest Parade, which spans from the Atlantic Ocean to the Gulf of Mexico. Other worthwhile activities include the annual Drag Race, raced by drag queens. Men from all walks of life stuff their shirts, dawn crazy-colored wigs and scant around in tight, short skirts, all while racing to complete an obstacle course filled with tires, shopping carts and tightropes down Duval. Not to be outdone is the Red Ribbon Bed Race, a more elaborate soap-box derby race down Key West’s main drag, Duval Street. Touted as the most fun you can have in bed with your clothes on, teams dress up beds-on- wheels and compete for the fastest time. So pack your costumes, grab a bottle of rum and “secede where others failed.” Get to the Conch Republic Independence Celebration from April 19 to May 1, 2019, and stay at the 24 North Hotel, the “unofficial” hotel of the Conch Republic. We’re located about 10 minutes from all the festivities.